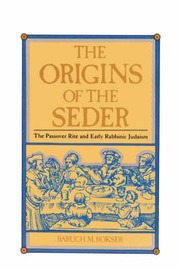 The Passover and its rite are central in the history of Judaism and Christianity. Explaining hot the Passover evening celebration, the seder, became one of the most popular Jewish rituals, Baruch M. Bokser shows how it was based on and transformed a biblical sacrificial meal. 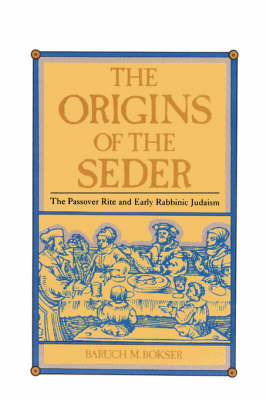 Bokser demonstrates the significance of the motif of Passover inb ancient Judaism, indicating why Jews and Christians employted it to express hopes for redemption. And he also illuminates the process of historical development through the interaction of a traditional heritage with contemporaryand outside cultural influences. This is a fascinating book which will add much to our understanding of Judaism and Christianity and of the nature of religion in a changing world.